Racing in Country NSW will benefit from Country Showcase meetings that were launched in the 2016/17 season and are continuing into 2018 and 2019. 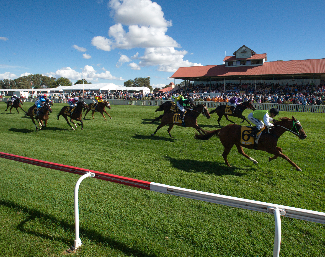 Showcase meetings offering a minimum of $30,000 per race in prizemoney will be staged at various courses throughout NSW. In many instances, Showcase meetings will be staged on emerging Cup or Feature meetings at country racecourses. Country Championships meetings will be added to the list of Showcase meetings for 2019/20. “The Showcase meetings provide excellent opportunities to focus greater attention on some of NSW’s emerging country cup meetings,” said Racing NSW's Chief Executive, Mr Peter V’landys AM, on launching the initiative. “Increases to minimum prizemoney and Country Showcase meetings come on top of the highly successful expansion of The Championships to include Country and Provincial racing and the implementation of Highway races at most metropolitan Saturday meetings. “These prizemoney increases, along with previous minimum prizemoney increases, have seen an increase in minimum Country TAB prizemoney of 110% since 2012,” Mr V’landys concluded.